Keep your car in mint condition with service and repair from COOP's Auto. We offer Virginia state inspections, mechanical repairs, and high-performance installations. A reliable fleet of vehicles is essential to the success of your business. We offer complete A-to-Z maintenance and repairs for fleets of all sizes. 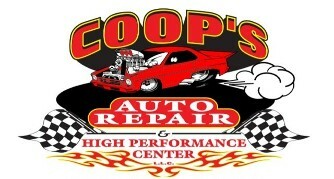 For an auto repair center you can trust, contact COOP's Auto & High Performance Center in Fredericksburg, Virginia. We offer repairs, maintenance, and fleet services, as well as high-performance and custom work. Our staff has more than 50 years of experience in the industry, and we have been in business since 1979. COOP’s Auto & High Performance Center is committed to serving you, our customers, with professional automotive repair at a reasonable cost with qualified technicians. We only use quality parts. We stand on sound business principles and uphold high ethical standards. Our goal is to make your automotive repair experience friendly and successful. Contact us for repairs and upgrades to your vehicle.